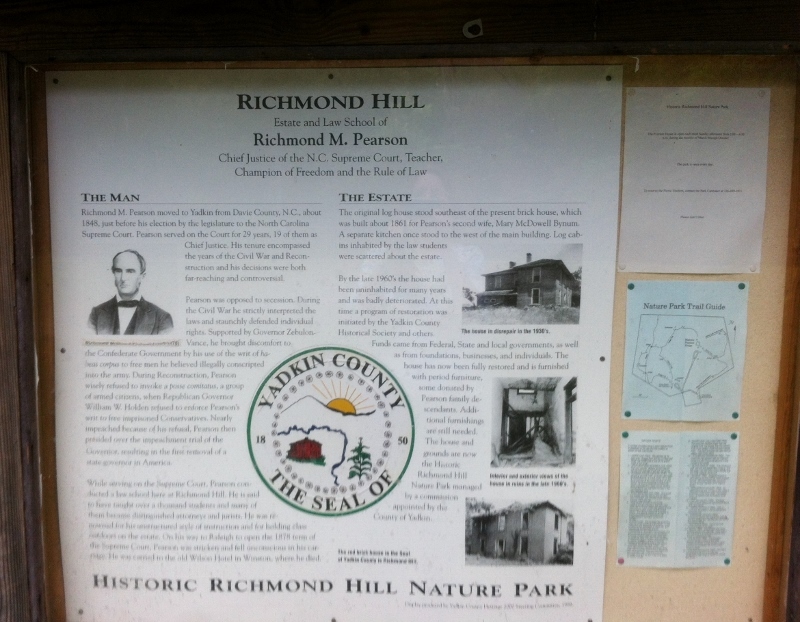 Richmond Hill in Yadkin (formerly Surry) County was the home of former North Carolina Chief Justice Richmond Mumford Pearson. 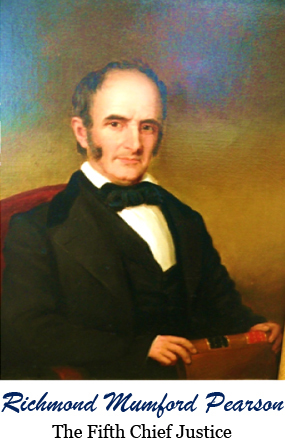 Judge Pearson conducted a private Law School here for approximately 30 years, 1848 until his death in 1878. Over 1000 students including 6 state Supreme Court justices, 3 U.S. representatives and 3 state governors attended school here. 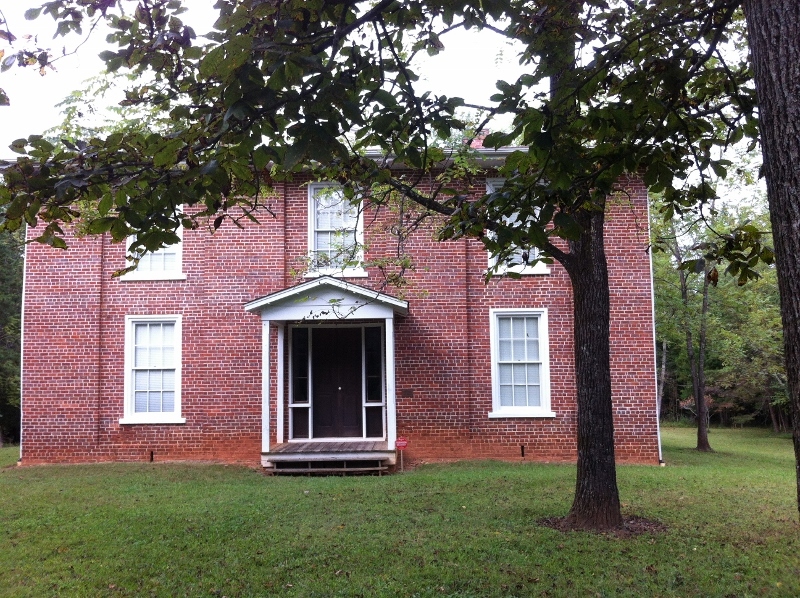 Classes were held in a modest building (no longer in existence) on the west side of the grounds or he simply under the trees on this property. Students lived on tiny log huts or boarded with local families. This brick home, build in the mid-later 1800s was restored in the 1970s and the surrounding 30 acres have been turned into the Historic Richmond Hill Nature Park. 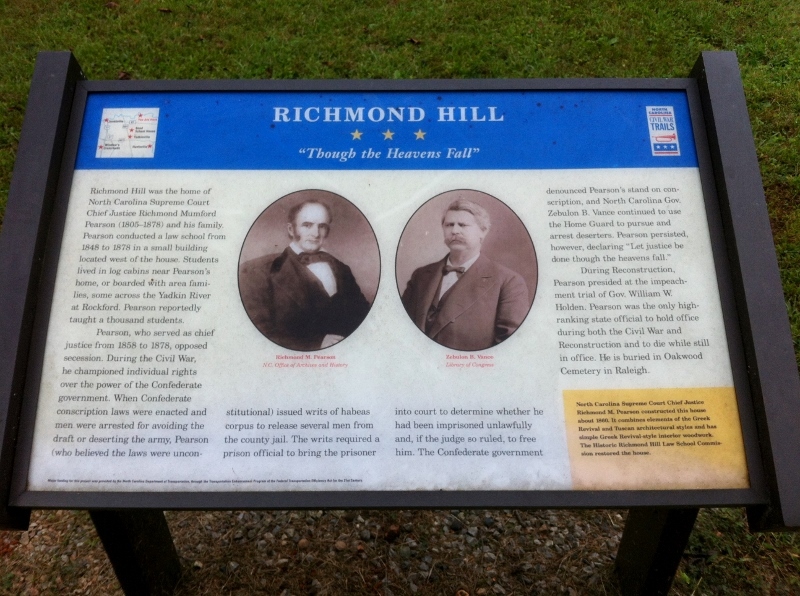 Richmond Hill is a part of the North Carolina Civil War Trails. Judge Pearson who was opposed to secession even though he owned slaves, became known throughout state because of his rulings against the conscription of men into the Confederate Army. Richmond Hill Nature Park is open from dawn to dusk.